Leather junior folder. 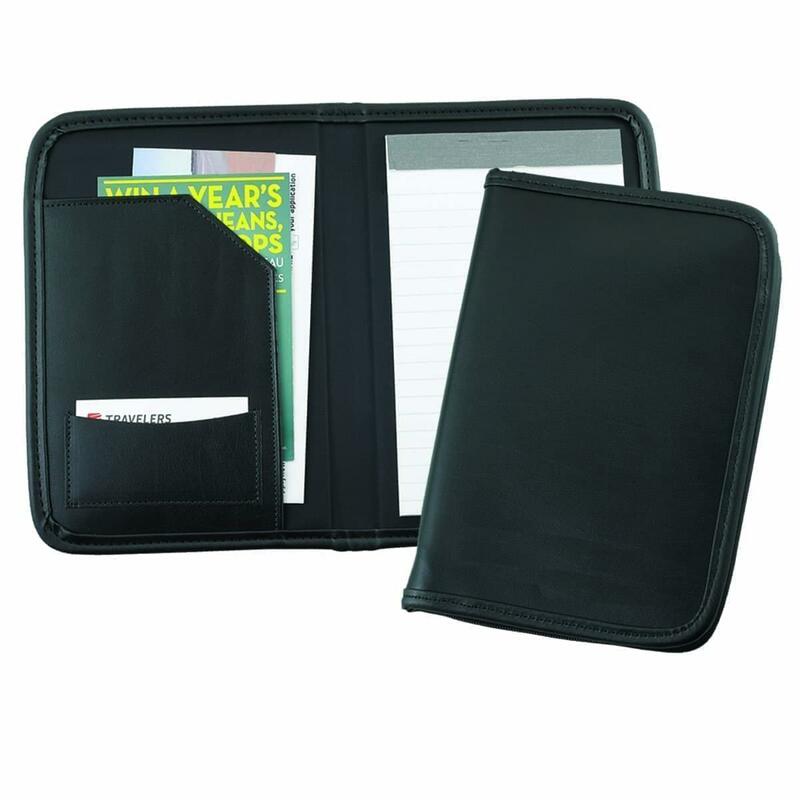 features sewn edges, foam padded covers, cloth interior lining, sewn slash pocket with business card pocket, ruled pad and pen loop. 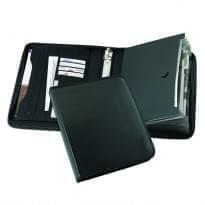 Black bonded leather cover with black trim. 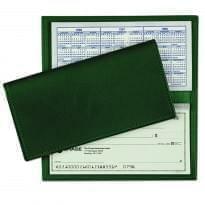 Dimensions (Inches): 6.5 Width x 9.25 Height. Packed 44 units per 31 lb. carton.